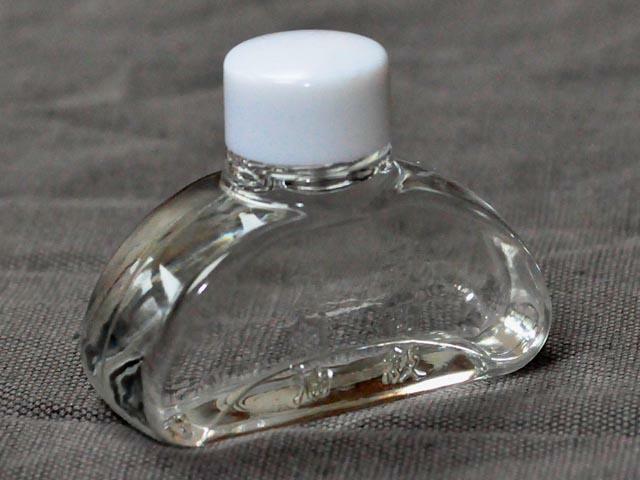 008 Small bottle of sword oil. 20 cc of choji oil. This oil is of the correct viscosity. The heavier, cheaper, substitutes can soak into the wood and may cause the saya to swell and bind, and even rot, as trapping dirt, which then degrades the sword's polish. Lubricating your sword with engine oil is not to be recommended, even if it has had clove oil added to it. GIs frequently coated their souvenir katana in whatever oil or grease was to hand, and the inside of the saya became horribly filthy as a result, with bits of trapped dirt scraping away at the polish of the blade. Sometimes this means that a new saya is needed, and certainly a new polish, both of which are expensive.